리마 도시의 레스토랑, 관광, 문화 지역에 위치해 있으며, Hotel Maury 숙박시설은 바쁜 일상을 뒤로하고 편안하게 쉴 수 있기 좋은 곳 입니다. 이곳에서 생생한 도시의 모든것을 쉽게 즐기실 수 있습니다. 이 현대적인 호텔은 도심 근처의 무세오 반코 센트럴 드 리저바 델 페루, 프라자 드 알마스, 팰라시오 토레 테이글 같은 유명한 명소가 있습니다. Hotel Maury 숙박시설은 흠 잡을데 없는 서비스와 필수적인 모든 오락시설을 활기찬 여행자들에게 제공합니다. 호텔의 편의시설 중에는 전 객실 무료 와이파이, 24시간 프런트 데스크, 장애인용 편의시설, 룸 서비스, 회의시설 등이 있습니다. 품격 있는 객실 시설을 경험할 수 있으며, 일부 객실에 구비되어 있는 에어컨, 모닝콜 서비스, 책상, 미니 바, 알람시계 또한 재충전의 시간에 도움이 됩니다. 호텔에서 지내는 동안 레크레이션 시설 등 풍부한 시설을 이용하실 수 있습니다. 리마에서 당신이 편안하고 편리한 숙소를 찾으신다면, Hotel Maury 숙박 시설이 집처럼 편안한 공간을 만들어줄 것 입니다. As a single traveller the rooms were clean and good size,breakfast only fair but it was food and I ate it.Food can be purchased cheaply near by.the shower had hot water and the towels were clean.The biggest plus it is 200m from the main plaza and close to the main attractions in Lima city.Beware the front door is hard to see as it is in the side street and you need to walk 15 m from the corner to see the front door.take local sight seeing tours from the main plaza and at 11.50 each day be in the plaza to see the changing of the guards .It is worthwhile. got eaten by bedbugs and cochroahces everywhere in the room at night. No hot water, had to threaten to leave and get a refund in order to get hot water in room. Staff did not seem to care or want to rectify issues. better value for money and clean uninfested rooms close by. we enjoyed our stay. the room was clean and spacious. the breakfast was simple but adequate. hot water for the shower was warm enough and the location was wonderful. the staff was helpful in arranging taxis and in extending our check-out time. internet was free, with a computer available for everyone and wireless in the rooms. Very quiet room although in the middle of Historic Center. Friendly staff, free internet access, nice old fashioned bar only two blocks off Main Square and main pedestrian street. Lack of a computer terminal with internet access in working order. More terminals are needed for such a large hotel. 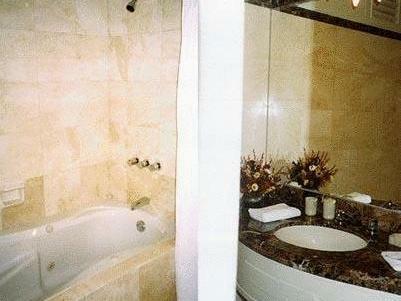 My stay was comfortable, the rooms are large with very clean and tiled bathrooms. I will stay there again when next in Lima. Close to Plaza de Armas, the centre of Lima centre. Very friendly and helpful staff. Especially helpful in getting you a trustworthy cabdriver instead one of cowboys chasing around. Given the very close proximity to the well guarded Plaza de Armas you can safely walk, from the restaurants around Plaza de Armas, to the hotel till closing time of the restaurants (around ten in the evening). 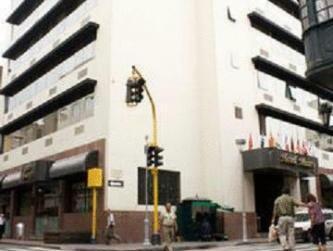 My next stay in Lima will be in this hotel again. Wonderful service, lovely decor and funishings with a very comfortable feel when first entering the hotel foyer. Maybe a little more variety with the breakfast menu and tea and coffee facilities in the rooms. With this being my first visit to Lima, the Maury Hotel was a very welcome sight. I found the friendly service of the receptionists was a major contributing factor to my most comforable stay, always at hand to help with extensive information on daily excusions, nothing was a problem for them to help me. My room was very clean and confortable and pleasing to the eye. I was recommended the Maury hotel by friends who had recenting stay at the Maury and they couldn't speak highly enough about their stay. I would definately recommend the Maury to all friend and I would stay there myself again. The location is perfect if you prefer to stay in this part rather than Miraflores. Walking distance to everything, including Chinese restaurants, Plaza de Armas (one block) and the catacombs. Breakfast at the hotel is better skipped alltogether. zentral gelegenes Hotel in der Altstadt von Lima, Plaza de Armas (schönster Platz)um die Ecke, Einkaufszone und Restaurants in unmittelbarer Nähe, Hotel war mal ein prachtvoller Palast, im Inneren noch erkennbar, aber jetzt etwas vernachlässigt, dennoch sauber und einigermaßen ruhig. Elhotel esta renovando las toallas y pronto lo hara con las alfombras que estan algo usadas. A localização (centro de Lima) é excelente, pois nos dá acesso ao que Lima tem de melhor e mais bonito. O hotel é confortável, os quartos espaçosos e a decoração charmosa e antiga. O restaurante, embora cheio de história, não tem um bom serviço, além de ser caro. Nunca, nunca peça um café! Se você não se incomoda com um pouco de barulho quando o retorno é estar perto de tudo que Lima tem de mais interessante, o Maury é ótima escolha. A meia quadra da Plaza de Armas, além de lojas, restaurantes e até um grande supermercado, o Maury á ainda um hotel com história. Dizem que em seu bar surgiu a bebida símbolo do Peru moderno (o Pisco Sour), e que Ernst Hewmingway o frequentou numa certa época da vida. Verdade ou não, o Maury é confortável, charmoso, acessível e conta com um staff competente e simpático. Eu e meu marido o recomendamos calorosamente. Gli unici aspetti positivi è in pieno centro e ha vicinissimo un bancomat che prende tutte le carte di credito. .
Ligging nabij centrum, prettig personeel, grote kamer.